SMS, or Short Messaging Service, is a text-based messaging service that is used by over 2.4 billion mobile phone users worldwide. SMS allows users to send and receive text-based messages, pictures, videos, and audio clips from other mobile phone users and desktop computer users who have applications that can interact with mobile phones. SMS differs from emails and other text-based communication methods because it is compliant with 3G and 4G networks and has a maximum limit of 240 characters per page, making it ideal for short messages. 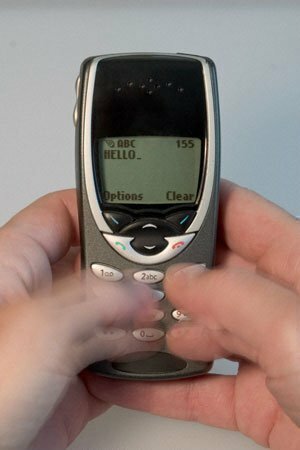 SMS or text messaging allows a user to type a message into his/her cell phone by using the letters found on the numerical keypad. Newer cell phone models, however, also include touch screen keypads and full QWERTY keypads that allow users to text much faster by using larger keys. SMS is known as the ‘Short Message Service” because it only allows users to input texts as large as 160 characters at a time, although users are able to send several pages simultaneously. Like cell phone calls, SMS messages are converted into data packets and wirelessly sent to the nearest cell phone tower, where they are re-broadcasted to the appropriate subscriber. As the messages reach the recipient’s cell phone, they are interpreted as real information and displayed to the user. SMS can be used for a wide variety of applications, but the most common is “texting” between cell phone users. As a result of its convenient, quick, and readily available use, SMS has widely replaced cell phone calls worldwide, as users are able to communicate with their friends, family members, and co-workers throughout the day without constantly talking on the phone. 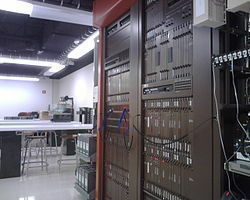 In addition to communication between cell phone users, SMS can also be used to communicate with computer based instant messaging software from any standard cell phone. SMS is advantageous because it allows users to communicate with each other without using their subscription minutes or talking on the phone for extensive periods of time. SMS is quiet, reliable, and allows users to send quick messages while performing other tasks. Although SMS is advantageous, it also causes distractions in some environments. For example, workers and students are often found texting when they should be performing other tasks, causing SMS to be banned in some workplaces and most schools. SMS is also dangerous for some users, such as those who are operating a vehicle, causing it to be outlawed in certain situations. Additionally, SMS is limited by its 160 characters per page and has been known to promote carpal tunnel and other complications. 479 queries in 0.583 seconds.